About half an hour of patience! Note: Some replace rice flour with corn starch to make starch fereni. Method: Pour milk, rice flour and sugar in to a small pot. Place it over low-medium heat and stir, first frequently then constantly, until the mix thickens – this would take about 25-30 minutes. 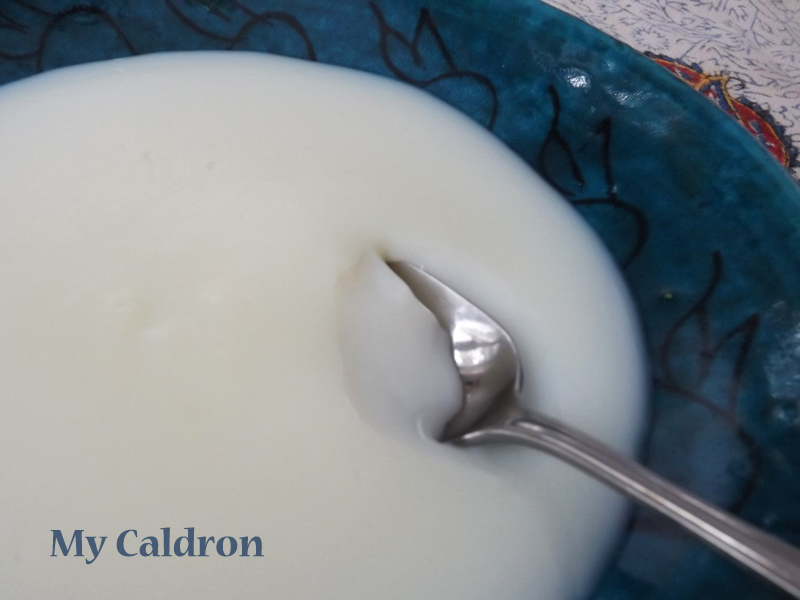 When the mixture is as thick as yogurt (you should see the slow motion of the mixture at the bottom of the pot when you tilt it a bit) add rose water and continue to stir for another few minutes. Transfer the cooked and thickened mixture in to a serving bowl and let cool. The cooling process helps further thicken Fereni. 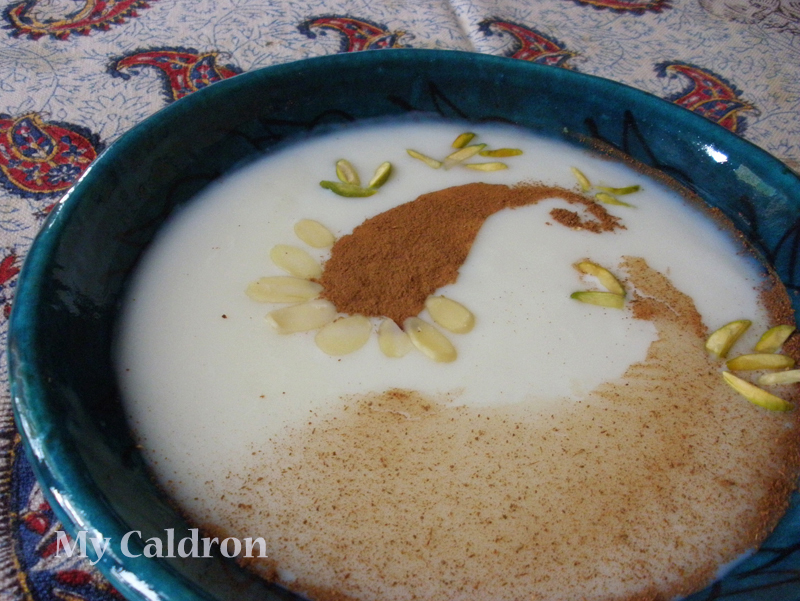 You can garnish with powdered cinnamon, sliced pistachio and silvered almond. OR, you could serve it as is: plain and pretty!